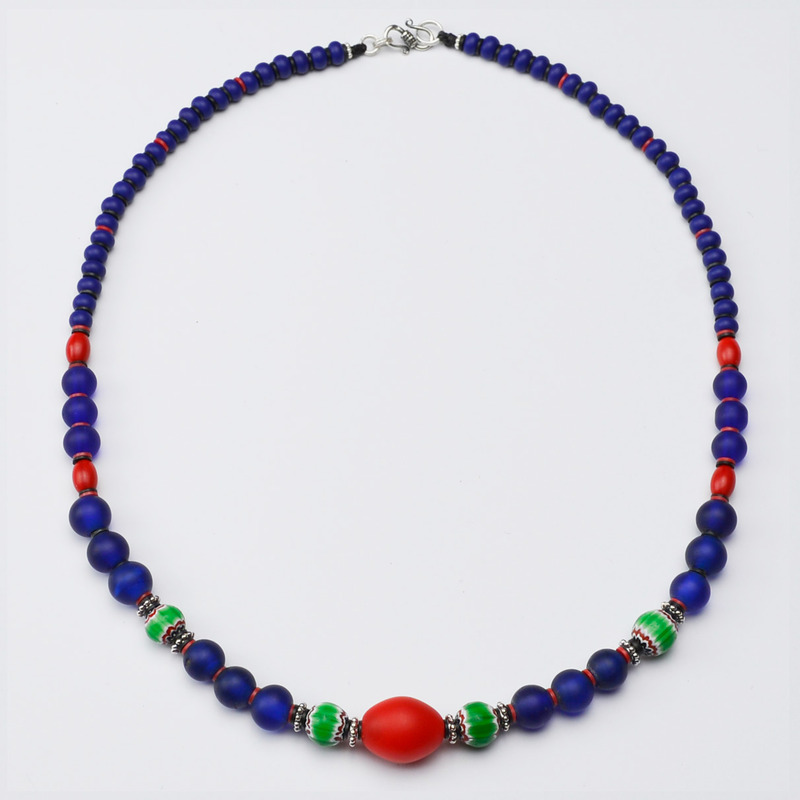 One of a kind handmade bead necklace comprising Antique Red Dutch glass "goose ggg" (more like Hummingbird proportions) bead as focal point. 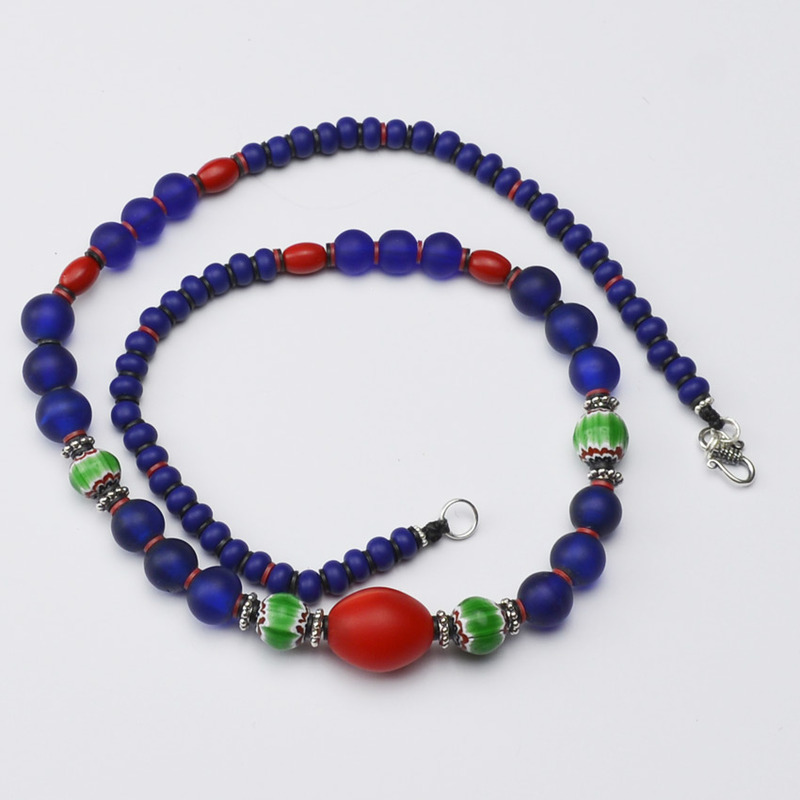 Surrounded by a combination of Green Chevrons, translucent cobalt blue glass beads and opaque cobal blue glass padre beads. 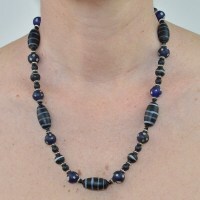 With the exception of the chevrons beads and spacers all beads on this necklace are of considerable age.